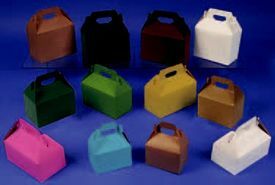 These deli boxes are made to boaster your business from the classy, robust surface to the modified imprints on the exteriors. Each box is made with environmentally friendly methods. 7 X 4.5 X 2.75"
9 X 5 X 3"
Deli Food is a delicious tradition, and these boxes help keep it safe. 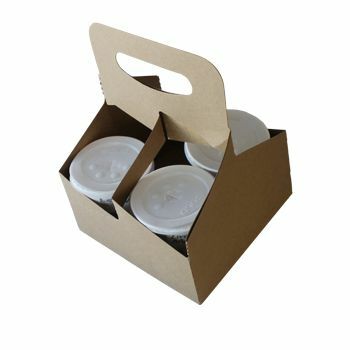 These deli boxes are made to ensure that the delicious food you make can be safely taken by the customer to their home. These boxes have Kraft interiors and are made of 100% recycled materials. You can get these boxes plain or you can have them branded with your Deli. They are also available for immediate shipment if you need them fast. 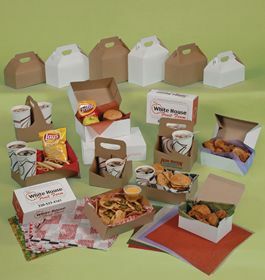 These deli boxes are available in 3 different dimensions so there is one that is perfect for every product you have.